Following its massive success in 2018, ONE Super Series will be holding a featherweight grand prix tournament in 2019. 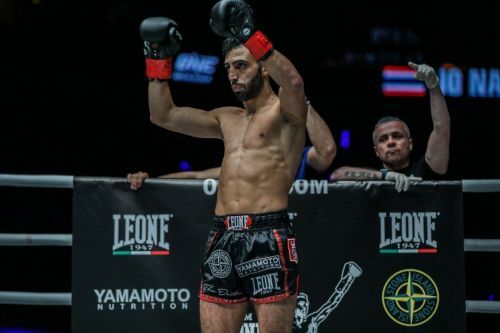 The ONE Super Series platform, which made its debut at ONE: HEROES OF HONOR back in April has quickly transformed into the go-to competition for the world’s best Muay Thai practitioners and kickboxers. and The UK’s Charlie “Boy” Peters, a three-time Muay Thai World Champion. The ONE Super Series platform, which made its debut at ONE: HEROES OF HONOR back in April has quickly transformed into the go-to competition for the world’s best Muay Thai practitioners and kickboxers in less than a year of existence. Now, ONE Super Series Muay Thai and kickboxing matches have become highly-anticipated parts of ONE Championship cards. The ONE Super Series Featherweight Grand Prix follows in the footsteps of the previously announced ONE Lightweight Grand Prix and ONE Flyweight Grand Prix in mixed martial arts. All three tournaments are set to make 2019 filled with must-see action from the Singapore-based martial arts organization.